When you are a young couple buying a house, there are a lot of things that you don't consider when purchasing. Sometimes things that you really, really want overshadow some of the problems the house has. Sometimes, those things can be changed with a little blood, sweat, and elbow grease. I think a kitchen is one of those things. Creating the kitchen of my dreams has been such a rewarding experience, and there are a few things I've learned along the way. There are some design elements that you need to consider before you start the process of designing a new kitchen. Here is our "before"... it was really boring. 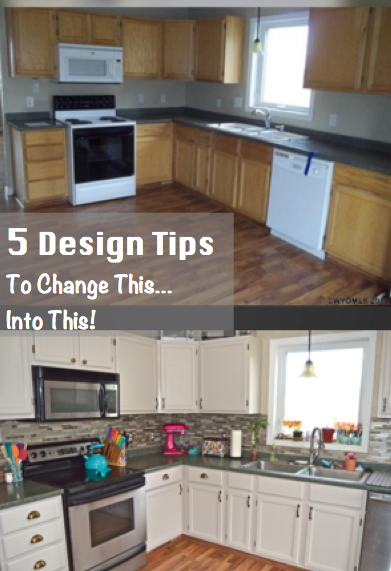 I want to tell you guys 5 tips I learned along the way that can help you change your kitchen into your dream space. This is a super important step in the renovation process. Especially because most of us don't have an unlimited budget to work with to completely gut a kitchen. So it's time to make some tough decisions- what parts of the kitchen can you live with and work with? You want to start looking at what can stay and what needs to go for you to get a mix of dark and light. Or you may want to go the bright look and have everything be light. 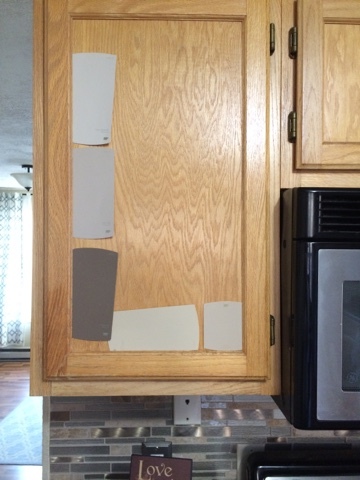 I personally wouldn't suggest a dark backsplash, with a dark cabinet color, and a dark counter. It will look dated. I didn't want to mess with the floors, and we weren't confident enough to change the counter top. I actually don't mind how it looks in there! I knew I wanted a bright kitchen, but I felt like stark white would be too much. This shade is a light and bright taupe called "Creamy Mushroom" by Behr. We started out with a backsplash that we loved, and ended up building the rest of the design around that. Our backsplash is Champagne Toast from Home Depot. It's sooo pretty, especially with the copper tiles. It ties into the light cabinets, and the darker countertop. I wrote a more in-depth blog post after we did the tiling HERE. My husband noticed that our hinges luckily matched the backsplash, so we could keep them and match our hardware to them and save some money. However, not everyone will have that kind of luck, so they are something you might want to consider ahead of time. Another small detail that we did change were the electric plate covers (is that the right word?) They were white- but there really isn't a reason to put up a gorgeous backsplash just to slap some white covers back over the top. 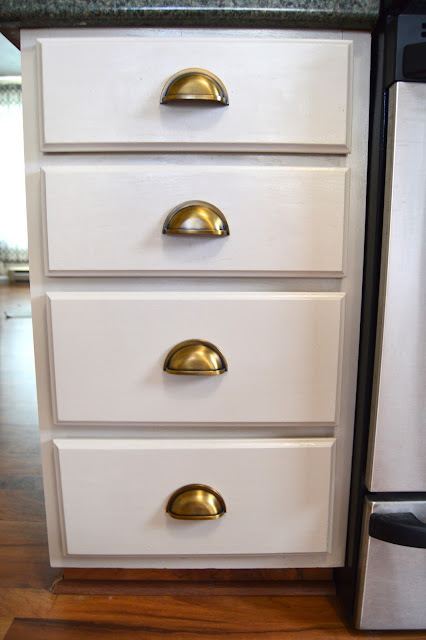 We chose 3 different types - a pull, a knob, and a handle, to use on all the different types of cabinetry we had. They are all the same color though, so it stays cohesive. #5 Add a Fun and Interesting Pop that Makes the Space "Yours"
-Don't leave the grout on your backsplash too long! Ours stuck in the rock pieces of the tile and we had to work really hard to get it out. -Get all the paint swatches! They're free and they can help you out when making decisions. Then grab samples of your top 2 or so. On a related note- our bathroom redo can be seen HERE. If you have any questions, I would be happy to help you out! Leave me a comment below with anything you want to know! You did a great job on your kitchen. Wow this looks stunning. I love the red pantry door- so cute! Thanks friend! We are pretty excited about it! Wow! That looks awesome! 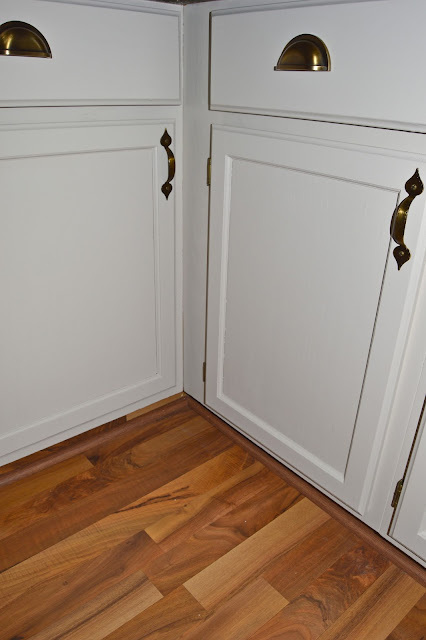 Great tip about the cabinet hinges matching new hardware. Thanks for sharing. Thanks so much! :) I appreciate you stopping by and leaving this nice comment! I love your new kitchen! 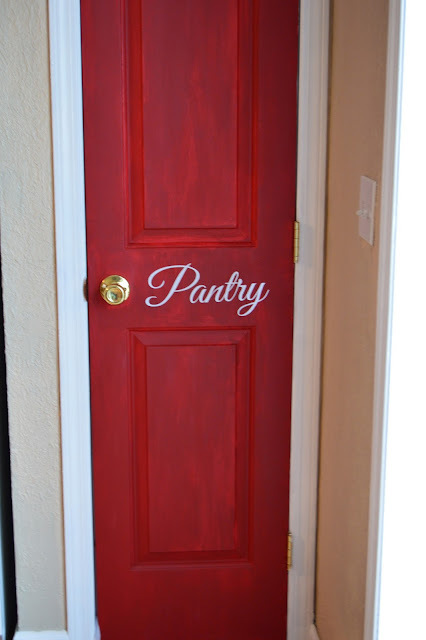 My fiance and I want to redo ours one day. These are great tips! The new kitchen looks amazing! And I love the hardware! 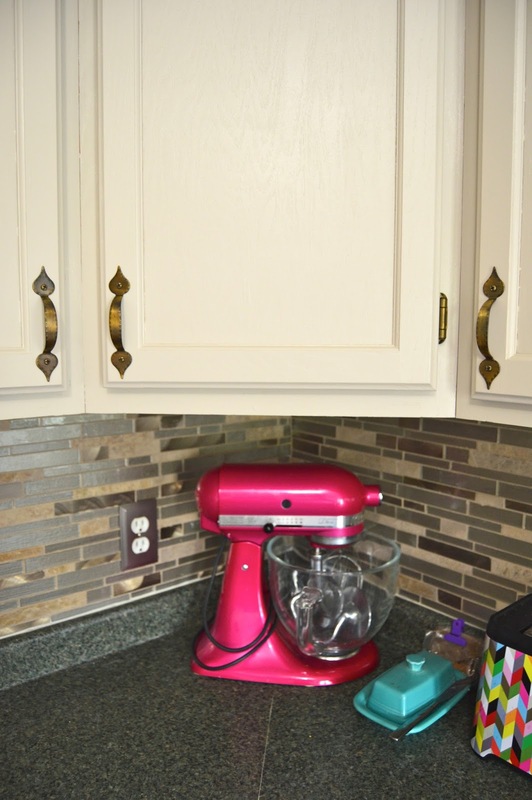 Your kitchen redo looks great! We are in the process of using the same tile for a back splash. I like the nickle colored outlet plates too. What color grout did you settle on? We are looking at Light Smoke. Great job! Fantastic post you have shared. here. I read your sites details and I seen your Spaghetti with curried chicken ballssets and read all description. realized that, this post is very essential for us.. Truly this post is exceptionally crucial for us.